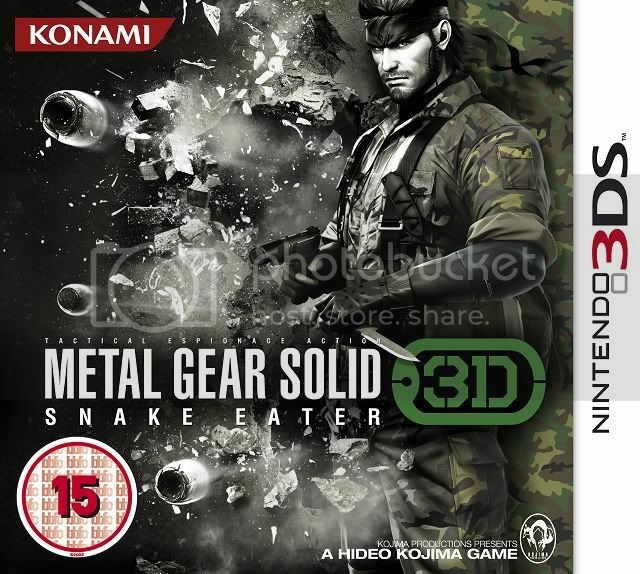 METAL GEAR SOLID: SNAKE EATER 3D for Nintendo 3DS™ will be released on March 8th. METAL GEAR SOLID: SNAKE EATER 3D is a reworked update of the best-selling PlayStation®2 title, and brings that game’s immersive jungle setting to life using the handheld’s glasses-free 3D imaging system. KONAMI has also confirmed that the new game will also make use of the new Nintendo 3DS Circle Pad Pro accessory, and has revealed the packshot for the first time. The new game springs to life in 3D, with the jungle’s dense foliage and craggy outcrops acting as truly immersive cover as the player works their way through the lush setting. The game also takes full advantage of the split-screen format, enabling easier access to Snake’s inventory, which is now located below the main action. The game also supports gyro synchronization, for special actions like balancing on narrow ledges that will draw players further into the world of MGS. Similarly, targeting enemies is now made simpler with the addition of Circle Pad Pro-compatibility, with the second Circle Pad allowing users to target distant foes with ease. Another addition exclusive to METAL GEAR SOLID: SNAKE EATER 3D is an all-new camouflage photography system. Within the game, Snake can alter his ensemble to match and blend in with his immediate environment and the possibilities can range from brick-colored fatigues within buildings, to the classic camouflage khakis of the jungle. Users can now take a picture of real-life items and create a camo suit based on them – although the extent of its effectiveness will vary depending on how well your pictures blend with Snake’s environment!